The Library will be hosting a one-time screening of the film “Love Between the Covers” on Saturday, February 27 at 10 am. The special screening of Emmy Award-Winner Laurie Kahn’s documentary film about the global community of romance novel writers and readers is free and open to the public. Love stories are universal. Love stories are powerful. And so are the women who write them. For three years, filmmaker Laurie Kahn followed the lives of five published romance authors and one unpublished newbie. Romance is the behemoth of the publishing industry; it outsells mystery, sci-fi, and fantasy combined. Yet no filmmaker has ever taken an honest look at the amazing global community that romance writers and readers have built until now. 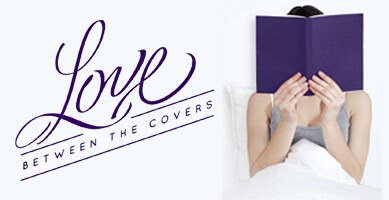 Author Jamie Pope will introduce “Love Between the Covers”. Pope is an award-winning romance writer, teacher and boot-buying addict who sometimes goes by the names of Sugar Jamison and Ginger Jamison. Ms. Pope will be signing her books after the film. “Love Between the Covers” will be shown in the Lovell Room of the Stratford Library at 10 am on February 27. The documentary runs 84 minutes. Light refreshments will also be served. The program is free and open to the public. For further information call 203.385.4162.